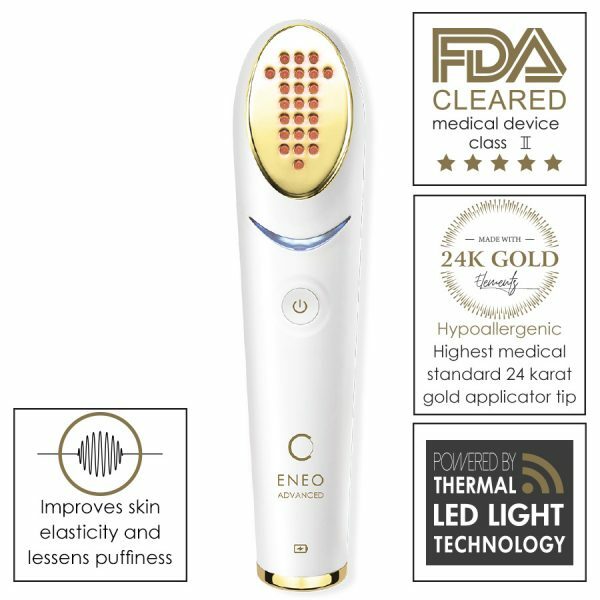 I have been using eneo now for just over 45 days I have found that it has softened the wrinkles around my eyes and has toned up my face. Awesome , fantastic product, does exactly what it say's it does. Great purchase, although pricy, would definitely recommend! Excellent delivery and product and app - it does exactly what it promised. 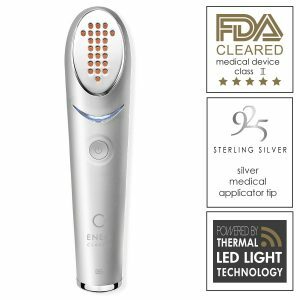 Purchased the Eneo device after reading a review which mentioned it was 'simple and easy to use’. I've used it now for a few weeks and can confirm as per the review that it is easy to use and the 5 minutes it takes was easily incorporated into my morning routine. I can already notice my skin looking better. I bought this about 1 1/2 week ago and have been using it, 5 times now. I have not noticed any difference and I am still concerned I got scammed by a high pressure salesman who professed to be a manager from a spa in CA. 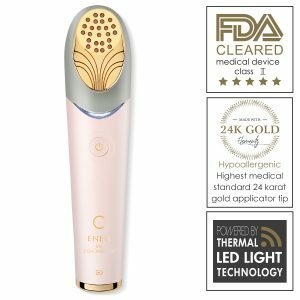 I have been using the Nuskin spa for a while now and thought it to be spendy but, This apparatus is the most expensive spa treatment in the market right now and I am wondering if anyone else felt uneasy after purchase. No results yet. Will post another review after A month of use. I am blown away with how well this works, i can see my for head wrinkles gradually become smaller. I was just about to go with Botox when i came across the abologi and i am happy i made the right choice and purchased it. I waited 10 treatments of use before submitting my review, since I wanted it to be genuine, so after the first treatment i saw good results but then for about 5 or 6 treayi didn’t notice much of a difference then after the 7 or 8 treatment I suddenly saw a massive change. I can now clearly state- This works! I’m contented with the results from Avologi ENEO Advanced. It’s been two months since I started using Avologi ENEO Advanced and I can confirm that I have seen results. The finer lines are gone, deep lines have improved tremendously as they are not less deep and much softer. I’m using it once a week and the results are as impressive as before when I was using it three times a week. This device is truly amazing. Prior to using Avologi ENEO Advanced, I had tried out different brands of anti aging creams and serums hoping to improve my skin texture. Even after years of using different products, I didn’t achieve the results that I desired. So I began searching for an alternative, and that’s how I found this device. I have used it for one month only and the results are amazing. My facial skin looks smoother than ever before. I highly recommend this product. I am 46 years old and I had a few deep lines and wrinkles on my forehead. I’m not much of a make-up fan, so haven’t done much to my face other than a basic moisturizer. I bought Avologi ENEO Advanced about two months and ago and I have been applying it 3 times a week as per the recommendations. Even though the lines have not completely faded, they have greatly improved. I will definitely continue using this amazing device. I use Avologi ENEO Advanced 3 times per week. It is easier to use when you apply a serum on before using the device so it glides smoother. I have noticed a few fine lines gone and my complexion is more even. I’ve used it for several weeks and I am hoping for better results as time goes by. I don’t usually write reviews, but now that I have come across a product I actually like, I feel compelled to share my experience. I purchased Avologi ENEO Advanced on December 2018 and three months down the line, I look like a different person. My skin tone is more even and the texture of skin is much improved. Fine lines have significantly faded. I’m sticking to this one for life. What has stood out for me is how easy it is to use Avologi ENEO Advanced. I can put on my headphones, stream my favorite music and listen to it while I relax and take good care of my face. I have used it only for a few weeks and there is a great difference on my skin already. I’m really impressed with this technology. 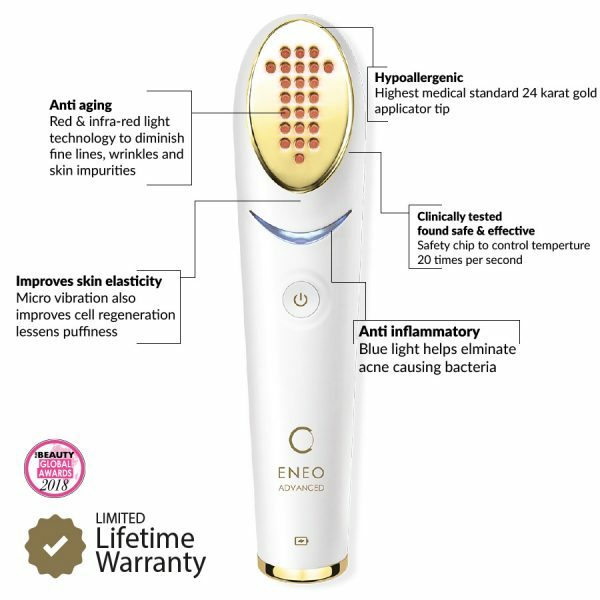 I cringed when I first saw the price of Avologi ENEO Advanced, but it immediately hit my mind that I have spent a lot more on anti-aging products that haven’t worked one bit over the years. After doing my research, I haven’t seen complaints regarding this device, so I decided to give it a try. I have used it for three months and my skin now glows and looks smoother. I’m so glad that I didn’t let the price to be the deciding factor during the purchase. First, I should say that I’m an older man - 60 actually - but I don’t look a day older than 50, thanks to Avologi ENEO Advanced. I only use it once a week and I’m amazed at how well it cares for my skin. I can advice anyone looking for a device that actually works to go for it! I was very skeptical about this device but decided to give it a try. I literally felt a huge difference in my skin after the first time I used it. One of the major improvements was firmness of my facial skin and on my neck. At this point, I am quite impressed with Avologi ENEO Advanced. My Monday mornings start with a 4-minute routine that involves using this brilliant device. I start by cleaning my face, then applying serum. I then apply gently apply the device and move it in circular motions from bottom to top. I finish by applying a moisturizer on my face and that’s it. 3 months into it and the results are quite noticeable. I couldn’t be happier. At first glance, I thought that Avologi ENEO Advanced was a complicated device. Turns out to be a very easy to use device. I only apply mild pressure and glide the device in circular motions from bottom to top just as instructed. I have used it for a week and so far so good. I will continue with the treatment and will share results once I see them. I can recommend Avologi ENEO Advanced to anyone who feels age is catching up with them. I am fifty and counting and since I started using this device I look so young. You can easily confuse me for an early thirty. My skin has regained a youthful look that gives me so much delight. I highly recommend it to anyone. I have used the Avologi ENEO Advanced religiously following the instructions given. It has by far surpassed my expectations. When I purchased it I was just trying it out. Due to many disappointments with many products in the products nowadays, I do not believe the advertisements I see. It’s worth the try. When I saw the Avologi ENEO Advanced I was expecting to have someone assist me whenever I needed to use it. I was so happy when I realized that despite the packaging the device is very light and user friendly. I followed its instructions and my first experience was wonderful. It has a comfortable handle and its light .This makes it appropriate for personal use. It also gives the skin an instant relieve. 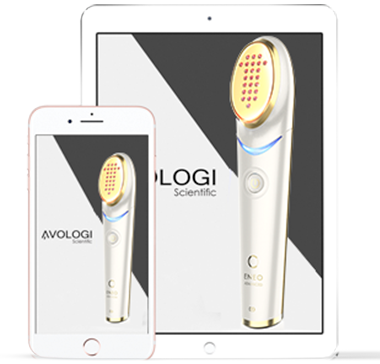 I can say for sure that Avologi ENEO Advanced is a high end device. I can attest to its great results that are noticeable on my skin. It has made my skin to have a smooth and long lasting glow. From the time I use it when leaving to my office and by the time I get back my skin Is still soft and healthy. Great value for my money!! 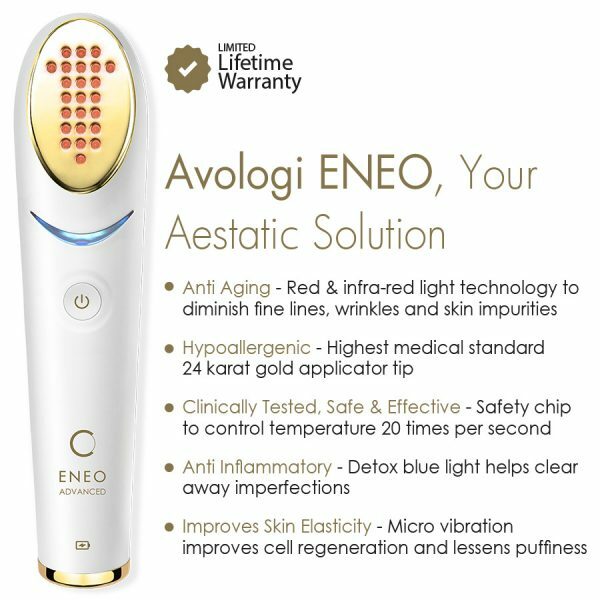 I am so excited that buying Avologi ENEO Advanced has turned out to be the best investment I have ever made as far as my skin is concerned. You should compare my before and after using this device photos. I look like a different person. My skin is glowing and shinning all day. I feel refreshed and fulfilled. I feel the need to give my review on Avologi ENEO Advanced although I hardly give reviews on anything. This is because it has transformed my life. I had a horrible skin that made me shy away from my peers. This dealt me a heavy blow. I saw Avologi ENEO Advanced in the internet and decided to have it for my cosmetic reasons. It’s the best decision I made, my skin is no longer rough and cracked.